Rumney Folk Club Cardiff are celebrating their 15th Birthday. 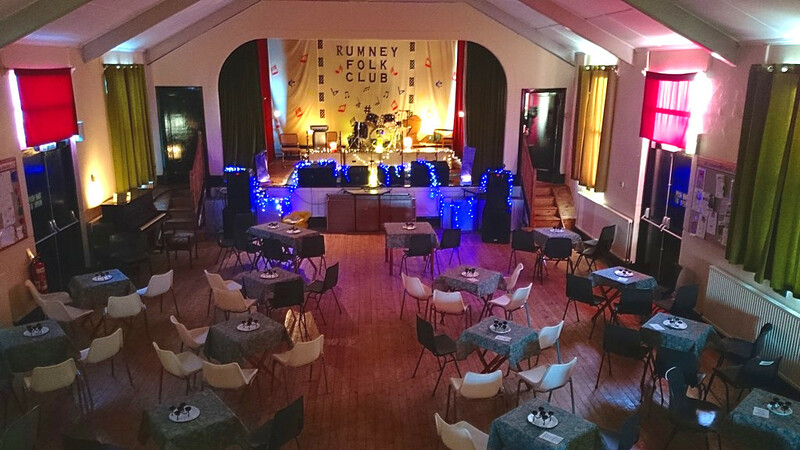 Running as a Community Folk Club, we encourage musicians and singers of all styles, ages and abilities from near and far, to come along and perform. We meet on the 3rd Friday of every month at St Augustine’s Church Hall, Whitehall Parade, Rumney, Cardiff. There is a charge of £3.50 on the door for non performers and £1.50 for performers. Proceeds go towards the upkeep of the hall to improve the facilities for the community. There is a Bar with Real Ales, Ciders, Larger and Wines, plus a Raffle, all held in a candle light atmosphere. The doors and bar open at 7pm and the music starts around 8pm. If you haven’t been before a warm welcome awaits everyone at RFC. A full PA, monitors, Drums and Bass amp are supplied, to cater for performers. Breakables required with the drum kit. Over the years a dedicated team of people have helped in keeping the club rolling along… Gordon Keir, Patrick Hathaway, Matt Potter, Diane Williams, Ellen March, Derek & Elaine Morgan, Arwyn & Dot Jones, Lesley Gibian, David Jones, Perry & Linda Turner and Alan Mann. We also organise RFC Coach Trips, Concerts, Festival, Annual December RFC Carols, Candles, Mulled Wine & Mince Pies concert in the 12th Century Parish Church of St Augustine’s, plus our annual BBQ in waterfall country Brecon Beacons. Everyone always welcome. Lots of further information can be found on the RFC website www.rumneyfolkclub.co.uk or Rumney Folk Club on Facebook.